Selamt Menyambut Hari Thaipusam !!! Thaipusam always have special mean to me although im not celebrating. Its used to be my training ground for my Vibram Hong Kong Ultra Trail 100KM back in those days, the second edition of HK100 in 2012. 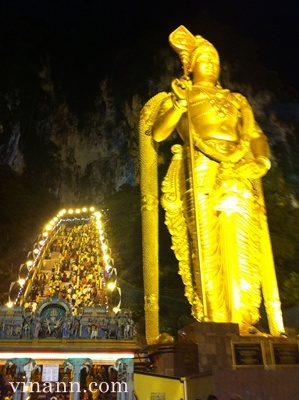 Prior to banning public other than praying / tourist visiting to Batu Caves, I always went to have stair case training on evenings. The training even extended to early morning where temple opens around as early as 6am when its near to Thaipusam festival, which also near to my HK100. Thaipusam festival also become part of my training as well. Running from house to Petaling Street and walking together with the chariot from the Sri Mahamariamman Temple on Jalan Tun HS Lee to Batu Caves and lastly run back to home. its were whole night outing on foot with hydration pack. Here's the details on what i did back in 2012. Time fly.